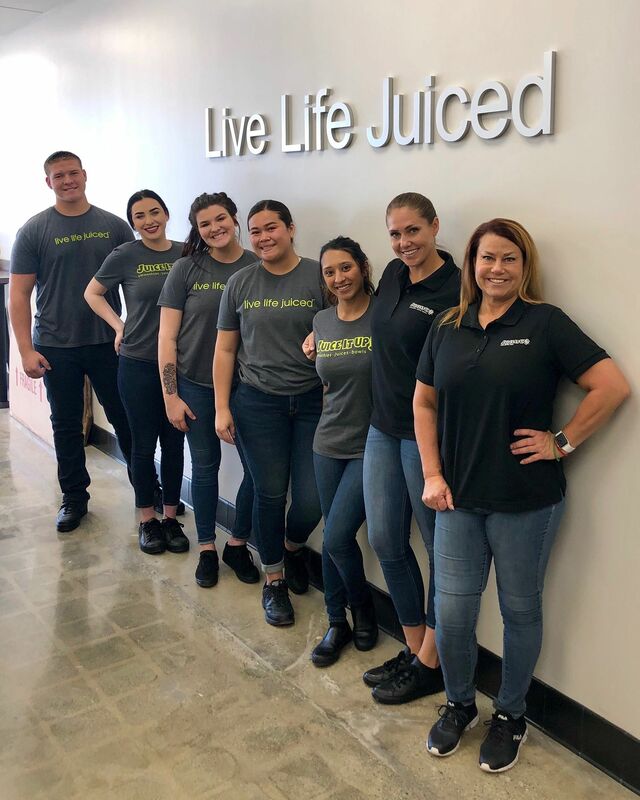 Irvine, CA (Restaurant News Release) Juice It Up!, one of the nation’s leading handcrafted smoothie, raw juice, and superfruit bowl chains, announced that it has officially opened its doors in Yucaipa, California. Marking the 46th Inland Empire location, the Yucaipa store is owned and operated by franchise partner and area local, Jessica English, who is bringing the brand’s functional fresh-squeezed raw juices, nutrient-rich açaí and pitaya bowls, and real-fruit and-veggie smoothies to Yucaipa residents for the first time. Juice It Up! Yucaipa is located in the Chapman Heights Shopping Center by the Stater Brother’s, near the Bryant Glen Sports Complex. Juice It Up! is a leading handcrafted smoothie, raw juice, and superfruit bowl franchise. Founded in 1995, the Irvine, California-based lifestyle brand is focused on providing its guests with a variety of great-tasting, better-for-you food and drink choices designed with personal wellness in mind. With over 100 locations open or under development across California, Florida, New Mexico, Oregon, and Texas, the privately-owned company is showcasing a new restaurant design, a heavier focus on healthy smoothies and bowls, the growing demand for raw and cold pressed juice options, and a menu refresh that reflects the brand’s active personality and motto to “Live Life Juiced!” An established lifestyle brand with unparalleled experience in the raw juice bar industry, Juice It Up! has been included in Fast Casual’s 2017 Top 100 Movers & Shakers List, Franchise Times’ 2017 Top 200+ Franchise Chains, named a 2018 “Best for Vets” Franchise by Military Times, ranked “Top 3” Smoothies/Juices franchises in Entrepreneur Magazine’s 2018 Annual Franchise 500® List, and named one of Entrepreneur Magazine’s 2017 Best Food Franchises and Top Franchises for Veterans. According to the Nation’s Restaurant News Annual Top 200 Report, the $32.1 billion U.S. beverage-snack industry is recognized as one of 2018’s top five bestselling restaurant segments. For more information about becoming a Juice It Up! franchise partner, visit www.juiceitupfranchise.com.